Storable surfaces for a larger crowd. Give yourself, and your guests, extra room for any activity you’re hosting. Provide temporary surface space where and when you need it with portable folding tables from BizChair. Shop our assortment online to find the best fold-up tables for your needs. Give your home, business, conference center, school or church the extra surface space it needs at any time with foldable tables. Whatever you're looking for, you'll find a wide range of folding tables for sale at BizChair to suit a variety of uses. Available space can dictate the folding table shape you choose. However, most spaces can fit round or rectangular tables, depending on their size. Shop our selection of rectangular folding tables and round folding tables in plastic or wood constructions and a range of sizes to fit your space. Many of these quality folding tables include waterproof, impact-resistant and stain-resistant tops to support events both indoors and outdoors. Find endless uses for the versatility and easy maintenance of plastic folding tables and laminate folding tables. From classrooms and conference rooms to homes and businesses, these exceptionally durable designs set up and break down quickly and feature durable tops that can handle a range of uses. Browse our variety of sizes, shapes and colors to find the perfect fold-up tables for your next event. Add flip-top folding tables and training fold-up tables to your space for extra flexibility. These versatile furnishings can be used in conference rooms, break rooms, reception areas, communal workspaces or even classrooms. The collapsible designs require less space for storage and some styles even feature smooth-rolling caster wheels on the bottom for easy transport. For companies that offer several types of events, shop our assortment of buffet and banquet fold-up tables. These types of fold-up tables are ideal for convention centers, banquet halls, reception facilities and more. Banquet tables can even be combined with banquet risers that stack safely on top of the table to provide extra room to set up a range of dishes without taking up too much floor space. For a matching set that can be used for a wide variety of uses, browse our selection of folding table and chair sets. Our fold-up table and chair sets include picnic tables and benches, long training tables with three seats, round banquet tables with up to eight chairs, patio sets, card tables with four chairs, and more. We even have kids’ folding tables and chair sets. Shop indoor and outdoor options to find the best seating solution for your upcoming events. If you need to transport your new folding tables often, consider adding some table dollies to your order. 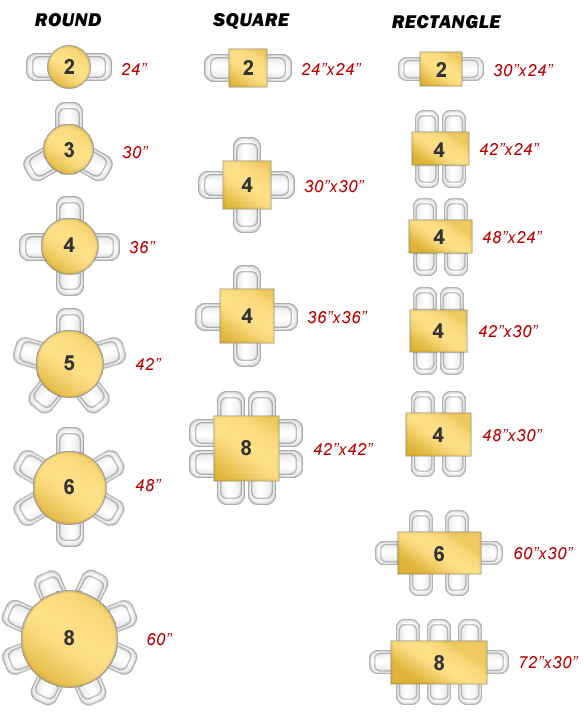 These handy tools can stack several tables at once. Heavy-duty casters help you move all your tables to and from the event with ease. Browse our dollies with space for tables and chairs to safely transport all your supplies without straining. Most of our folding tables are in stock and ready to ship within one business day of your order, so you can get your new set-up fast. Shop online now to find the perfect fold-up tables for your needs.